Let me start by saying “some of my best friends are” police officers. No, seriously, they are! In fact, my father’s best friend in the world, George Guest, was a Baltimore City police officer during an ugly time in this country’s history; when the brutality within the ranks was just as bad as the brutality in minority communities everywhere. But that’s another story for another time. I think there’s a special place in Heaven for those who are willing to risk their life to serve and protect others. My heart goes out to those who lose family members and friends in the line of duty and others who endure sleepless nights worrying if their loved one will make it home safely. While many officers do the right thing every day – or at least try to – there are a number of officers who seem to have forgotten why they joined the force. Some have simply had enough while others have decided to protect and serve only themselves. It is precisely because of my respect for those who I know do the right thing and those who have lost their lives protecting the rights and lives of others that I feel compelled to touch upon the subject of police brutality; especially in light of the recent brutality and terrorizing of the Latino community in East Haven and New Haven, Connecticut. Star Trek fans will remember the exchange between Spock and Kirk from the movie, The Wrath of Khan, “the needs of the many outweigh the needs of the few” but when it comes to instances of police brutality and misconduct, the acts of the few taint the deeds of the many. The Connecticut case has plenty of attention so I am not as concerned with that case as I am with the instances that go un– or under– reported everyday because citizens feel their word will never stand against the word of an officer of the law. 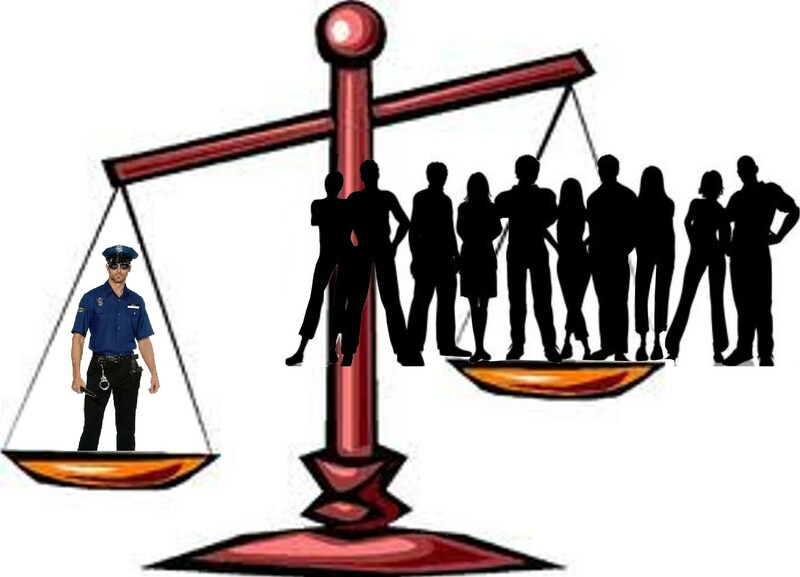 If we study all that America believes about justice; all that America believes about law, order and honor; all that she believes about security and protection (both personal and collective); if we funneled all that – and a good portion of the Constitution – into a person … it would be an officer of the law. It could be argued a judge would better personify those values but I would counter with the fact that judges merely offer interpretation. But a police officer? That’s where the rubber meets the road literally and figuratively. Think about it. Why else would the instances of their misconduct command such attention and horror? Whether consciously or subconsciously, fairly or unfairly, we hold law enforcement officers to a higher standard; at least we used to. The same can be said for ministers, teachers and the like. But lately, there have been examples of each falling hard from the pedestal upon which we’ve placed them. Police officers and, in some cases, entire police departments are only reflections of our larger society. Like it or not, whether your police department is an exception or not, we all bear some of the responsibility when things go wrong. From the Sheriff of a small, one-horse town to the chief (or permeating the ranks) of the biggest metropolitan police force you can bring to mind, these officers are at once a personification of our values and evidentiary of our fears and shortcomings. What tends to be overlooked in most discussions is the fact that “they” (police officers) are part of “us” (the larger society). They are shaped, molded and affected by the same things that shape, mold and affect us all. They grew up in our neighborhoods, attended the same schools, were impacted – positively or negatively – by the same institutions that impact us all but somehow we expect them to behave differently. We expect them to show up free of preconceived notions or prejudice. We expect them to be able to remedy any situation; most of the time in the heat of some of the most hellish moments … moments with which many of us will never have to suffer. 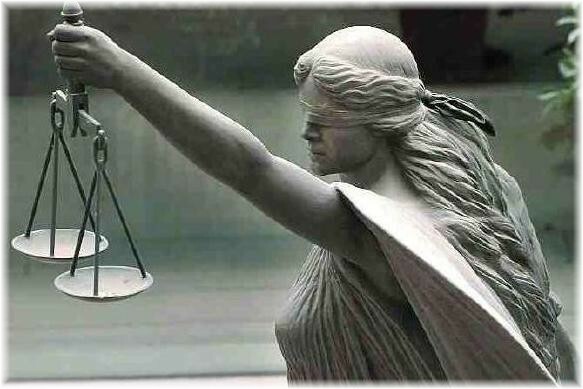 We expect them to enter a situation as blind as Lady Justice, with balanced scales in hand, into areas where nothing is balanced and playing fields have been unlevel for years. But do we enter situations without a certain degree of judgement or prejudice? Probably not. 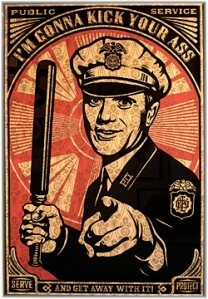 Their prejudices are our prejudices in uniform … fortified with a badge and a gun. And yet, when they (re) act, we find ourselves shocked and astonished … as if they somehow are not representative of us all. We review footage; we rewind tapes and reenact uncomfortable moments in the comfort of our homes or court rooms frantically searching for some “other” way something could have been “handled”. Somehow, somewhere we must find someone to blame and usually the culpability of the accused is directly related to his or her economic viability. But the news, almost daily, exposes yet another story of police misconduct at the intersection of “Oh God” and “Not Again”, where immediacy and (re)action rule the day; where a “second look” or “another chance” are nothing more than tardy, unaffordable luxuries. And we find ourselves horrified … again. But what do we do? And what do we expect? Color me naive and idealistic but I, for one, expect us all to do better … to be better … to be better stewards of this God given gift called life. Yeah, I expect that. I expect the Golden Rule to prevail. I expect respect. I expect to be viewed as a human being, first. I expect that all citizens are innocent until proven guilty and should be treated as such. I expect when officers “misspeak” (read: reveal who they really are) that their apologies be remorseful and sincere or not offered at all. I expect that in cases of blatant police misconduct or brutatlity that the Constitution of the United States be interpreted as a weapon of justice for all rather than a shield from blame for some.